Yesterday in a historic event, the Idaho III% dropped by the FBI stronghold in Burns, Oregon to introduce themselves and to explain to the heavily harmed agents, exactly what they were doing in Harney County. The first few minutes were tense as the surprised FBI agents sought to figure out what was going on. TVOI News gives a standing salute to the Idaho III% for their boldness and to the FBI Agents for remaining calm in what was no doubt a first for them. The video of the meeting was shot by Michael Emry, owner and cameraman for The Voice of Idaho News (TVOI News). 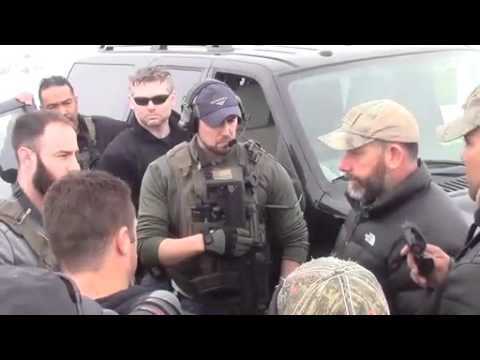 The second video is an interview between Pete Santilli and Brandon Curtis concerning the Idaho III% meeting with the FBI and their purpose for being in Burns, Oregon in the County of Harney.